Ive tried bypassing the dimmer switch but I may be doing it wrong, the fuse blows everytime I do. Are your tail lights working because there is a tail light relay that controls the dash lights as well. I've already posted on several websites and up until now answers have been extremely vague. So far you have written the most. Now lets fix this puppy! The glove box light also is fed from this circuit, but it is not controlled by the dimmer. If that light works, that takes care of the positive side of the circuit. The 12 volts comes from the tail lamp relay, so according to my diagram, you won't have a glove box light unless the running / tail lights are turned on. The rheostat is an electronic module, but it still can be bypassed. We just need the right wire. You should have a green wire. That's the 12 volts that comes from the tail lamp relay. The white / black wire is the ground wire. The white / green is the ground wire for the lamps, but it goes through the dimmer module first on its way to ground. If you want to bypass the module to see if everything else works, either connect the white / black wire to the white / green wire, or just use a jumper wire to ground the white / green to the body. If the lights turn on, the dimmer module must be replaced, but be sure that 12 volts is there on the green wire. It won't work if that's missing. If you had found that 12 volt wire previously, what may have confused the issue is the dimmer is in the ground side of the circuit, not in the positive side like they used to do. The fact there's a 12 volt wire adds to the misery. If the fuse blows when you ground the white / green wire, one of the bulbs, (sockets) is shorted, and logic would dictate it's related to the radio that was in there. The original radio most likely had two lamp wires. One was hooked to the tail lights to make the display dim. The second one was hooked to the dash light circuit to tell the display how much to dim. If someone reconnected those wires incorrectly, it is possible the tail lamp / dash lamp 12 volt supply got connected to the ground side of the lamps. That short may not cause the fuse to blow with the dimmer in the circuit, but it would if it was bypassed. This is a good suspect if the previous owner hacked off the radio's plug and spliced in the new wires. If an adapter harness was used, it's doubtful removing it is causing this problem. One more tidbit of value. If the previous owner spliced wires for the radio, and sealed them with electrical tape, that can unravel into a gooey mess on a hot day. The dash is made of plastic, but if a bare wire touches the case of the radio, that is grounded, and a bare wire will be grounded if they touch. To back up for a minute, with the dimmer still unplugged, and with the lights turned on, you should measure 12 volts on the white / green wire too. If you have that, nothing on that line can be grounded or open. At that point everything points to the dimmer module. Alright thank you so much for your help thus far you have been very generous. I tested the green-white and grounded off and was able to get 12+ volts. So, deducing from your info I bought the $15 dollar switch. And, it still doesn't work! So then I decided to switch out he tail light relay and everything came back to life :) thanks again for your help. I just bought a 1995 toyota 4runner for$500 but my problem is it had a dead battery in it. I bought a used charged battery put it in. When I try to start it nothing happens. I do have lights but no dash lights come on just the lights in both front doors and headlights. I tried to reset it by disconnecting the battery and use the vallet switch. Thats the other thing everything I have read thus far says their should be either a toggle switch or a button, I have both? I cant afford to take it to a shop. Thats why I had to buy a $500 car in the first place.I am not opposed to removing the alarm system but I am not sure I want to try unless I know more about the system. I just need the quickest cheapest solution possible as I need transportation to get my mom to doctors. I have lost the tail lights, dash lights & running lights on my 1990 Toyota 4runner. I have checked all the fuses, and bulbs all okay. My brake lights, headlights and turn signals all work normally. Is this likely a relay problem? Over drive and check engine and all other dummy lights messages still work. The dash and taillights are in one circuit separate from the others. It has its own fuses and the running light fuse, that should most probably be the taillight fuse. You need to test where a short has occurred. If anything had occurred prior to this, such as impact damages, you need to be checking that area for wires that could be exposed. If not, unplug all taillight bulbs to check for shorting. Headlight switch replacement will fix the problem. I just bought a 97 Toyota Forerunner. 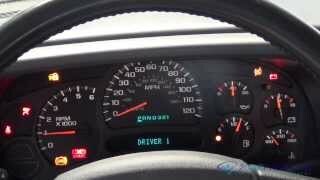 Why won't my dash lights illuminate at start up? They only come on with the headlights. I tried changing the fuse -- that wasn't the problem -- not sure what to try next -- the dash is completely dark at night --help! Recently I had a new stereo put in and the connection to the back window is gone but the dash board was fine -- just one night I noticed it and after changing the fuse that was burnt it still does not light up at night. You mentioned replacing a bad fuse. Recheck if the fuse is blown again, if yes, you have short in the circuit. Check the taillights and front clearance lights, are they working? When you turn the headlights on it blows the fuse to the dashlights and taillights. Check for a short in the wiring to taillights if something has been recently installed with screws check there first. I have lost the tail lights, dash lights & running lights on my 1994 toyota 4runner. I have checked all the fuses, all ok. I have a 1988 Toyota 4 runner that the brake lights and dash lights won't work on. I have checked all the fuses and they are fine except the ignition fuse has been rigged. All the other lights work and wiring seems fine as well. What is the problem and where should I go from here? Power to both items go through the headlight switch. Check that.